What I’m about to say, is NOT from a dream, not from a vision as most of us understand visions….yet I have seen. It’s a sense in my spirit that is SO strong that I must warn, even though I know ahead of time this will be discounted, mocked and even ridiculed. In my spirit, I know and have seen that coming to the U.S., during our church worship services, there will be attacks. I’ve seen the doors burst open and the black hooded men in camo coming through with guns and shooting indiscriminately. I’ve seen them lock the doors behind them to inflict maximum amount of casualties. I’ve seen the shock and fear on people’s faces as it takes a split second for them to actually realize that they are about to be face to face with the one they were just singing about. I see these attacks as a coordinated effort. 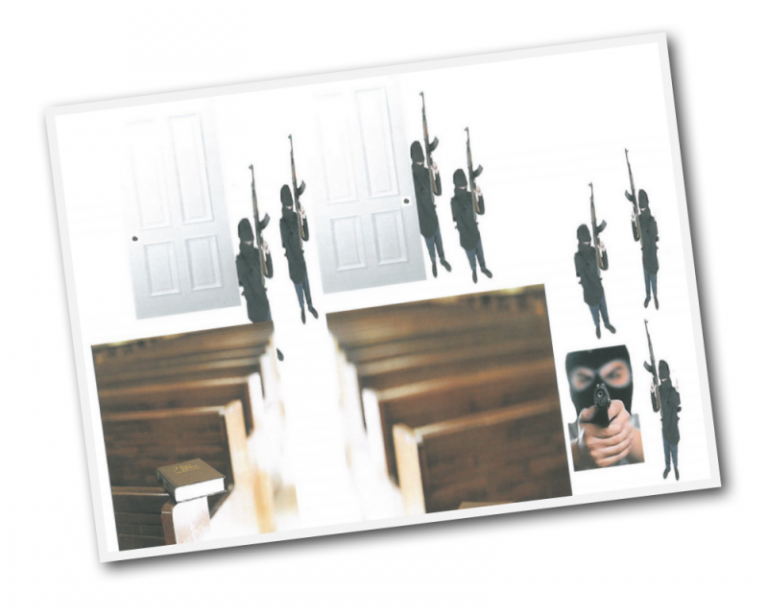 I believe that many of the attacks and the houses of worship that are attacked will be places where the attackers had frequented to get a feel for the layout of the facility. For those who are able to escape, there will be those waiting outside to inflict and deal the same punishment as those inside. When this first takes place, many Christians will do as was done in the early church and will meet in homes and secluded private places. I’ve seen people taking their Bibles to these meetings and am also armed as well as to provide protection for their families and children. 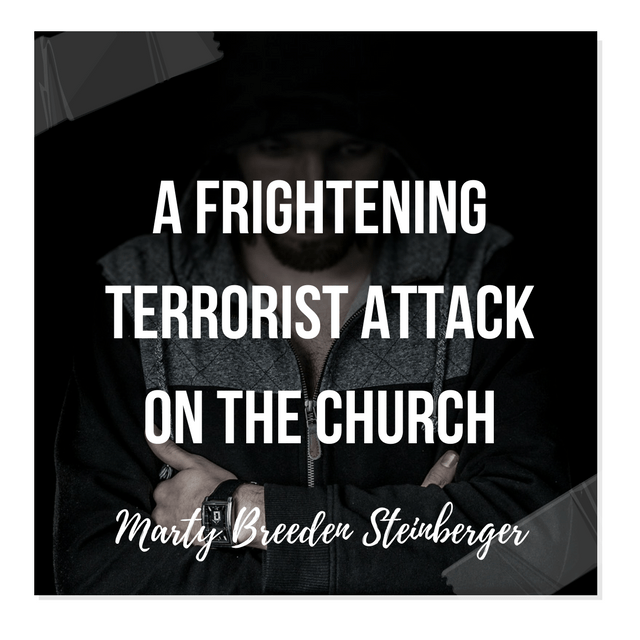 Just when it seems that there can be no more tragedy, these attacks will start again in rapid fashion it will be a common occurrence, here in the U.S., to hear of yet another Christian church, meeting or Jewish Synagogue attacked with deadly results. No amount of media coverage or lack thereof will deter these attacks, nor the public response to those who have perpetrated these evil acts. This has been in the planning stages for years as the attackers, both Muslim and haters of those who do good join forces to stop the mouths of those who preach truth, love and righteousness. They will lash out at all that resembles God and His Holy people, both the remnant, the elect and the Jew. This nation will be so weakened and in such disarray , that other nations of the world will offer to send help…….It is with a broken heart I say and share these tidings. Yes, there will indeed be some logistical victories in some places, but it will be as though the belly of hell has opened up to war against the saints. My counsel is to prepare as though you feel the Lord would have you to prepare….but prepare you must. This morning, on my post, I warned of a great sense of great heaviness, unusual heaviness, that I awoke with and what I believed was an imminent event….it’s documented you can read my post. When I awoke I had a great burden and was directed by the Lord to pray and TO WARN!… I was faithful to do both. I believe the horrific London attack by islamic terrorist was part of what I knew in my spirit, being warned of God that was coming. Having said that, then I submit that other words and warnings that I believe the Lord has given me recently must be prayerfully considered and judged by each individual. Know that I make NO PROFESSION of being a Prophet or a seer of any kind……I’m a Police Officer who strives to serve the Lord, and as a faithful Watchman I sound the alarm when I see or hear impending danger. I will continue to walk in humility and open myself to correction, rebuke, reproof and Godly counsel. A demonic Spirit of perversion is going to be on open display in our land. Things , many things are not as they appear……a flood of filth is coming and with it and exposure of things brought to light that most thought were hidden. Even professing Christian churches will begin to display a level of perverse activity that was once thought to only be in the world. An exposure is coming and it will rock the House of God. Even those who have and do serve God, and have repented for their sins, even those among the redeemed who have in the past allowed themselves to dabble and look upon things forbidden by the spirit of God , sins that have been repented of and forgiven by God…..will be brought forth by dark powers as to embarrass and dishonor the people and ministers of God and to cause confusion. For the word of God calls satan the accuser of the brethren and accuse he will…. Marriages , Pastors, leadership will be challenged as a revealing takes place….Godly and Biblical discernment will be required to know and understand that which is God calling for repentance, and the enemy bringing railing accusations to the body of Christ……First, FLEE things of the flesh and flee youthful lust….Second, REPENT and seek Godly counsel and advice , Third, weep between the porch and the altar and begin to fully be prepared to recieve and extend the Grace and Mercy of God. The Bible instructs us to make no provision for the things of the flesh and to seek the Lord while He may be found. In 1948 none of what I saw in the vision had ever been seen by anyone anywhere, so it was not at all common until after 911. There was no such item as a ski hood or guns like the ones I saw. 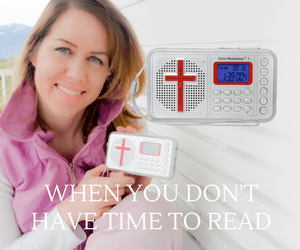 Although it may be a common sight now, it was Ruach HaKodesh letting us know that in the year of the rebirth of the Nation of Israel, that in the time of the end He gave us something that would be a sign to us as Christians to be aware of. He was also letting us know who they were by what He told me not to deny, “DO NOT DENY JESUS IS THE SON OF GOD”. As a child of 10 and knowing very very little about religion, I certainly would not have considered that statement important, but as it turns out, that is the statement that was telling us who those men were in black.